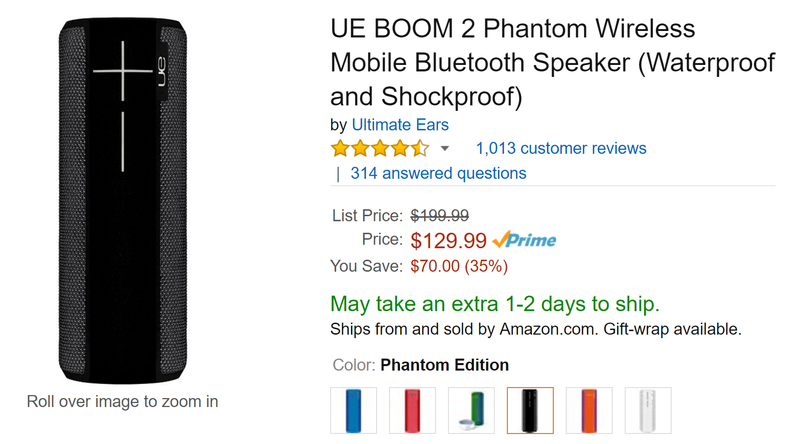 At $200 the speaker is a solid value, at its current price of just $130 on Amazon, it's a steal. $130 is the lowest price the speaker has even been sold at on Amazon (with the exception of Black Friday), and it's not likely to stay at this price for long. It's not just the black model that is on sale either, all the different color combinations are discounted. I will note that a few of them are on back-order and may take a little longer to ship. Grab one if you'd like using the link below. Remember, these might go quick, so don't delay if you really want one.